Assume your application generates some output in a file named "fan.out" in the following format. 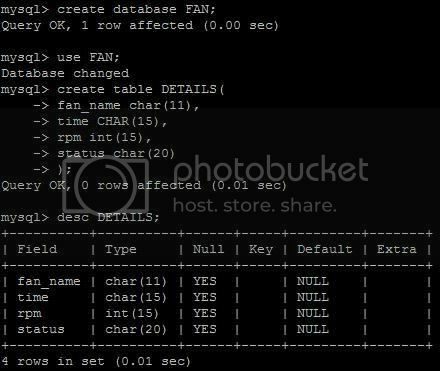 You want these data to be automatically pushed to your mysql "FAN.DETAILS" table through a BASH script. Step1: Created the database and table in mysql as below. so the db is ready. Hope you like this post :-) Got to go to office, getting late.